Signature HealthCARE of Gainesville is a 120-bed skilled nursing facility located in Gainesville, Florida. The facility is conveniently located within 5 miles of all hospitals, and offers 24-hour nursing care and a wide array of services and programs that are appropriate for individuals who need around-the-clock care. 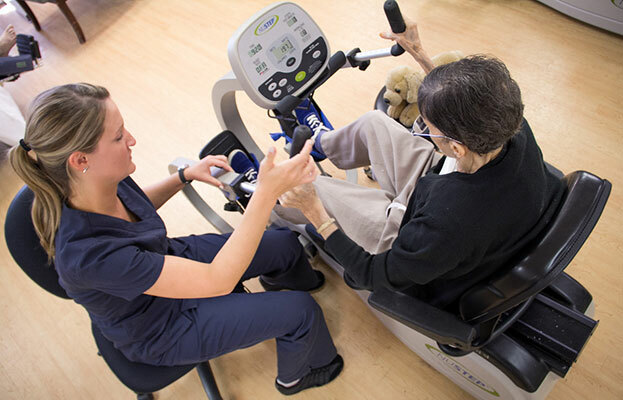 From physical, occupational, and speech therapies, to short-term and long-term skilled nursing care services, Signature HealthCARE of Gainesville’s professional staff has one main objective: to encourage each patient to reach his or her goals, and live as comfortably as they would in their own home.